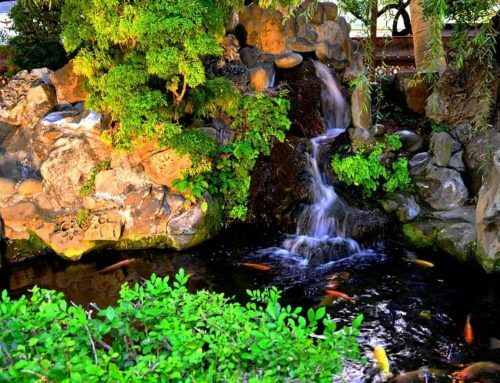 A fish pond is undoubtedly a thing of beauty. It offers homeowners a relaxing view while also promoting biodiversity in your own backyard. Let’s be clear though, fish ponds do come with certain pitfalls. One of the worst of those issues being pond water turning green. The culprit of this phenomenon is none other than algae. That green water that you’re seeing is generally called pond scum, and is actually the result of an algae bloom. Sounds bad, right? Not really. Algae has a bad rap for turning a beautiful pond into a green mess, but in reality, their growth is actually quite good for your pond. Algae are plant-like, polyphyletic organisms that help maintain a balanced aquatic ecosystem. The green strains that would typically be found on the surface are called string, or filamentous algae. Like any other plant, algae uses photosynthesis to turn sunlight into energy. A bi-product of this process is the reintroduction of oxygen into the surrounding waters, which is important because every living creature in your fish pond requires a stable level of oxygen in the water to survive. Algae produces a lot of oxygen during the day, but ends up reabsorbing some at night, for respiration. This means that although algae is a good source of oxygen for your fish pond, it will become a problem if left unchecked. When and if this happens, there will be too much carbon dioxide in the water, killing your fishes. This is the fastest way of clearing up algae-filled ponds. Simply drag a pool skimmer across the water’s surface to remove the algae. Do note however, that this will only provide temporary relief. For a more long-term remedy, install an aeration system. Algae blooms usually happen when the pond water is fresh Adding aeration systems like waterfalls can help to prevent any new growth. Adding an aeration system can also help ponds that already have an algae buildup. The increased circulation created by waterfalls will dispel any of the remaining bloom. Underwater plants remove excess nutrients (ex. ammonia) in the water that algae are very fond of. Sago pondweeds, water weeds, and other underwater plants absorb ammonia, leaving nothing for algae to consume. 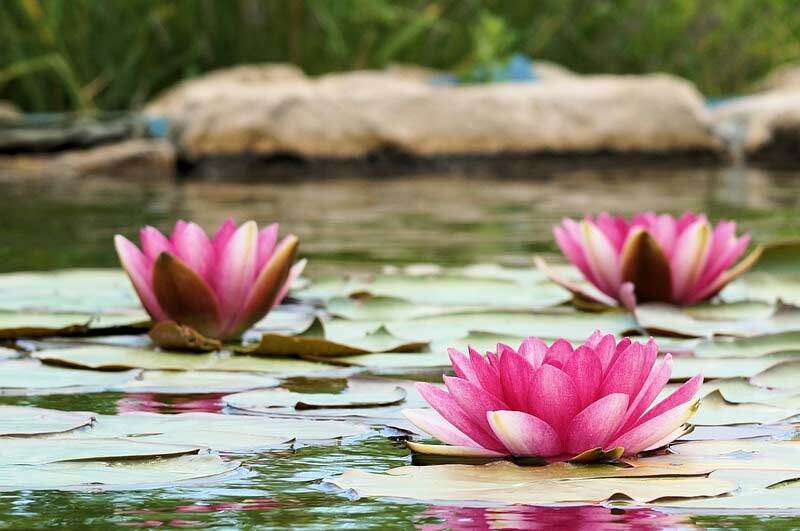 Also, since algae requires sunlight to thrive, try to include floating plants like water lilies into your pond. This helps to control the amount of sunlight that hits the pond. Do make sure that they cover a sufficient amount of the pond’s surface. Ultraviolet sterilizers will not remove algae that’s already accumulated in your pond. Rather, this device is designed to control the problem, by sterilizing the algae until they eventually stop reproducing. Phosphate increases algae. It comes from fish foods and the water itself, just to name its most common sources. Usually, when pond owners see an algae bloom, their immediate reaction is to change the pond’s water and get rid of algae. This, however, is a big no-no. Changing the water only provides a fresh batch of phosphates for new algae to feed on. The best way to control algae is to have your fish pond assessed by an expert. A professional can determine how to create a well-balanced ecosystem that will keep your fish happy and healthy and prevent future algal blooms.